Many people think that it is the function of a spiritual teaching to provide answers to life’s biggest questions, but actually the opposite is true. At this very moment, Reality and completeness are in plain sight. In fact, the only thing there is to see, hear, smell, taste, touch, or feel, is Reality, or God if you like. The Way of Liberation is a call to action; it is something you do. It is a doing that will undo you absolutely. If you do not do the teaching, if you do not study and apply it fearlessly, it cannot effect any transformation. The Way of Liberation is not a belief system; it is something to be put into practice. 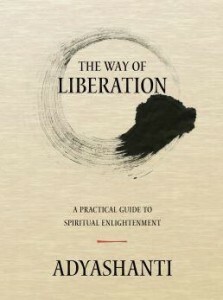 The Way of Liberation is a stripped-down, practical guide to spiritual liberation, sometimes called awakening, enlightenment, self-realization, or simply seeing what is absolutely True. The book is what is claims to be – a very practical guide. I am grateful to the author for sharing his insights and the knowledhe grleaned from his years of practise.